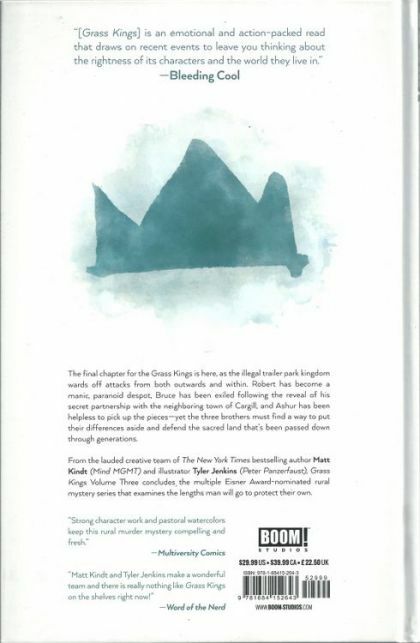 The Eisner Award-nominated series comes to a close as the Grass Kingdom wards off attacks from both outwards and within. Their kingdom is crumbling, their trust in one another is shaken, yet the three brothers must find a way to put their differences aside and defend the sacred land that fs been passed down through generations. 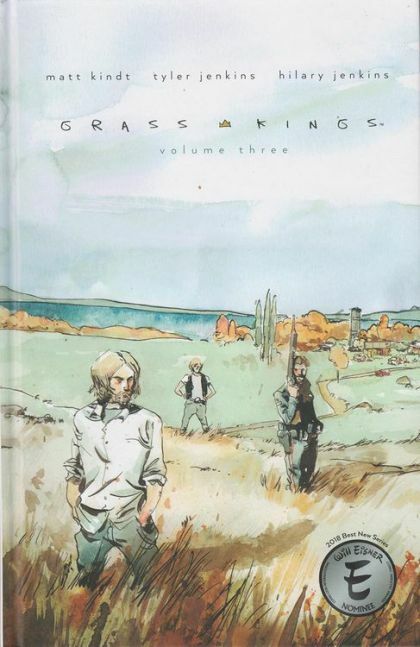 From New York Times best-selling author Matt Kindt (Mind MGMT) and illustrator Tyler Jenkins (Peter Panzerfaust), Grass Kings Volume Three concludes the critically-acclaimed rural mystery series that examines the lengths man will go to protect their own. Collects issues #12-15.